Today I have a giveaway to share with you. 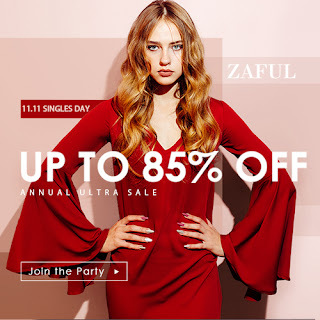 You'll receive $100 to Zaful. Just comment with your favorite piece. You can also leave your email. Winners will be drawn on Nov 30. I love all the ways you styled this tee! That floral cardigan is my fave. Thanks for sharing Jessica! Btw should we follow each other in GFC?, let me know! I love dresses and the store has one more beautiful than the other. I like little black dresses what an I say?! I just wanted to say I wish ZAFUL would publish the names of the winners cause now I am thinking maybe they don´t give away any gift cards and it was all a lie to get more followers. You being part of this giveaway should feel like you have to protect your readers too..